There he comes up against the brightest, most cutthroat brain trust in Russia who, on the orders of Nikita Khrushchev himself, are building a nuclear weapon with 3,800 times the destructive potential of the Hiroshima bomb. RDS-220 is a project of such vital national importance that, unlike everyone else in the Soviet Union, the scientists of Arzamas-16 are free to think and act, live and love as they wish...as long as they complete the project and prove to their capitalist enemies that the USSR now commands the heights of nuclear supremacy. 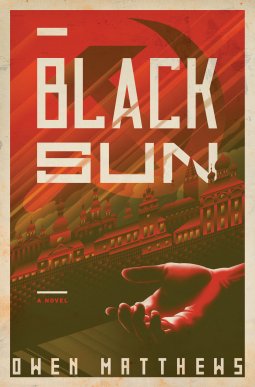 With intricately plotted machinations, secrets and surveillance, corrupt politicos and puppet masters in the Politburo, and one devastating weapon, Owen Matthews has crafted a timely, terrific, and fast-paced thriller set at the height--and in the heart--of Soviet power.